Edward Thomas Hardy, more famous as Thomas Hardy is an English Actor, Producer, and a Model. 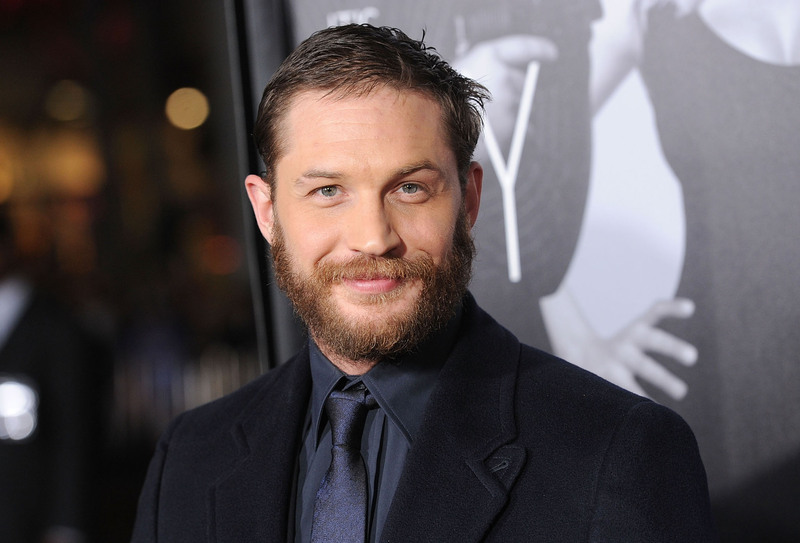 Hardy is one of the highest profile actors in contemporary Hollywood and thus, has been the part of the list of the most influential people in the United Kingdom due to his contribution towards charity. Besides having a unique dressing style, his tattoos make an amazing addition to his personality. Tom is very fond of getting inked. Let’s explore his tattoos and their meanings. Tattoo: The Leprechaun now covered with Tribal Tattoo surrounding it on his right bicep. Meaning: Leprechaun tattoo is the symbol of magic and good things in life as per Irish Culture, Tom got this inked due to his connection to Irish background, from his mother’s side. This ink was his first tattoo, which he had received at the age of 15 years but later got it covered with the tribal design. Tattoo: Padre fiero inked near the right side of his collarbone. Meaning: Padre fiero, the Italian phrase stands for Proud Father. Tattoo: London Skyline inked just above his right elbow. Meaning: Tom got this ink symbolizing his hometown, London. Thus encouraging him to get the skyline inked. Tattoo: Large Dragon inked on the inside of his left bicep. Meaning: Tom had received this ink in the love for his Ex Girlfriend Sarah Ward since she was born in the Year of the Dragon. 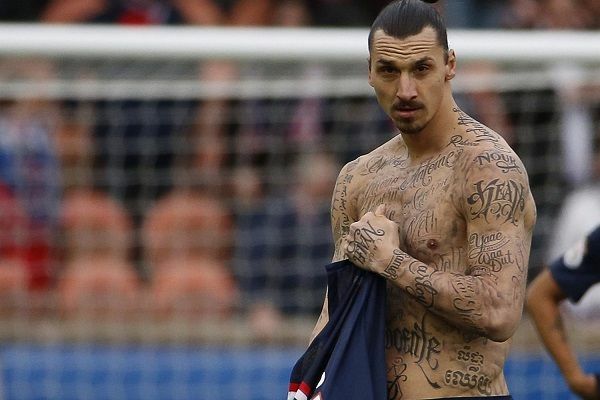 Tattoo: A Star inked on his left shoulder. Meaning: Tom had got this Star inked when he had found out about the pregnancy of his Ex-Girlfriend, Rachel Speed. 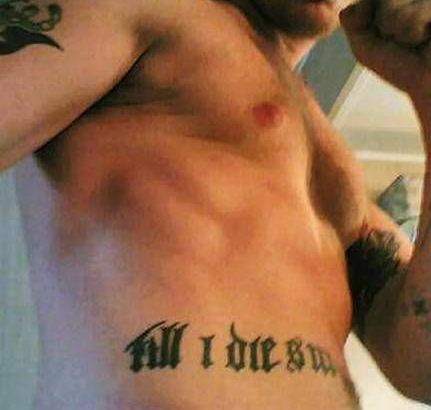 Tattoo: Till I Die SW inked on the right side of his stomach. Meaning: Tom has ink which reads “Till I Die SW” which goes back to the time when he was in a relationship with Sarah Ward (1999- 2004). Tattoo: Charlotte inked on his left shoulder. 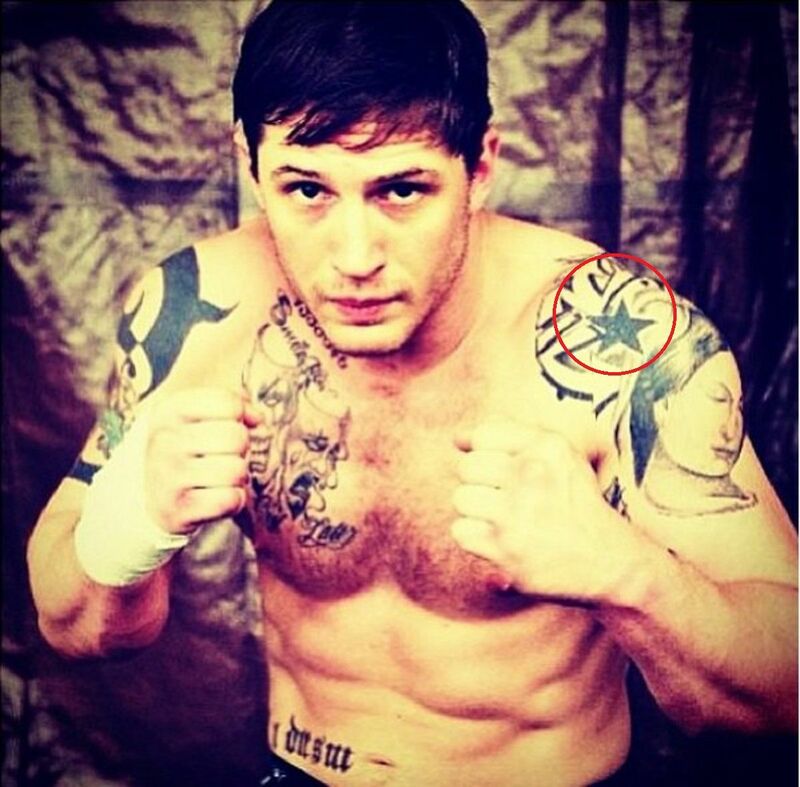 Meaning: Charlotte inked on Tom’s Right shoulder represents the name of his current wife, Charlotte Riley. Tattoo: LINDY King along with a crown inked under his dragon tattoo on his left inner bicep. 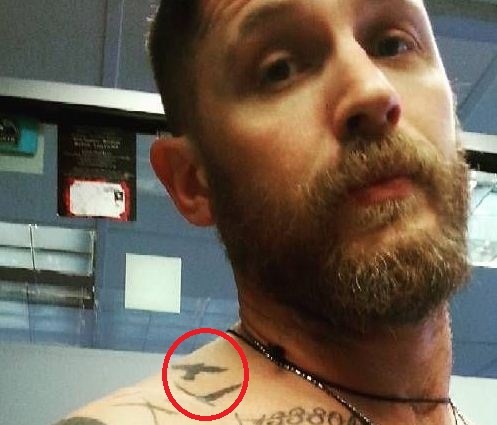 Meaning: Tom Hardy got this tattoo inked with due respect to his agent, Lindy King. He once said that he had promised her, that if she got him into Hollywood he would get her name tattooed on his body. So as per his words, he did get it done. Tattoo: Figlio Mio Bellissimo inked on the lower side of his right bicep. 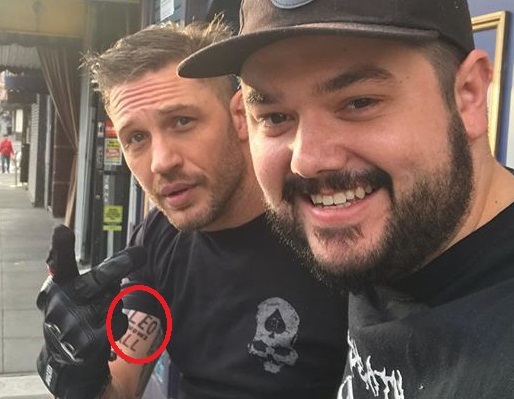 Meaning: Tom Hardy loves his son a lot and thus got this phrase inked which means “my beautiful son“. Tattoo: Marine Corps Number inked near his right collar bone. 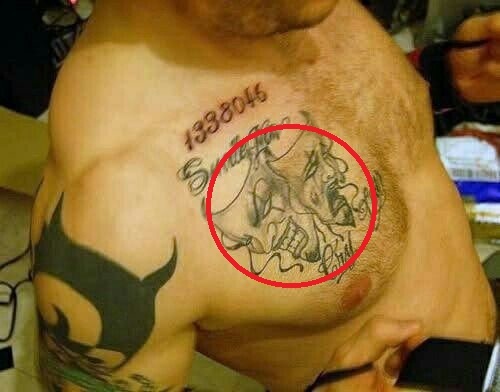 Tattoo: Comedy and Tragedy masks inked on his right chest. Tattoo: Smile Now written above the Comedy and Tragedy masks and Cry Later inked below them. Tattoo: Single cross tattoos near the Comedy and Tragedy masks. Tattoo: Tribal Scorpion inked on the upper left of his back. Tattoo: Union Jack inked above his left chest. Meaning: Union Jack is the National Flag of The United Kingdom. Tom got this tattoo from Bryan Glatiotis from the Dark Day Tattoo studio in Vancouver, Canada. Tattoo: Feather with the word Scribe inked on his right tricep. Meaning: There is a picture of a feather with the word “Scribe” above the tattoo W on the right triceps. 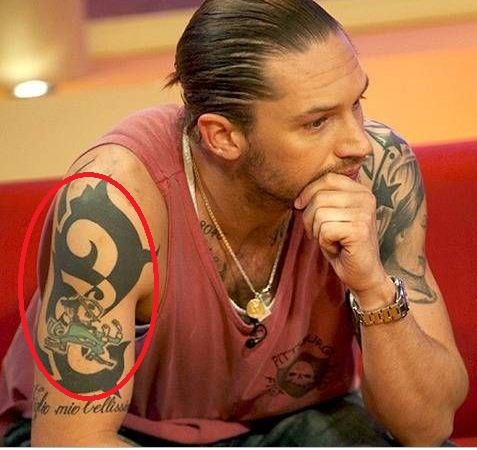 Tom Hardy is known to have got this tattoo inked in respect for his friend Kelly Marcell, who works as a scriptwriter. Tattoo: Madonna Cradling a Baby inked on his left bicep. Meaning: This tattoo holds great meaning for Tom. The large portrait of Madonna (Mary, Jesus’ mother) cradling a baby inked also contains the date of his son Louis’ birth “848” (He was born on April 8, 2008). Tattoo: Portrait of his lady inked on his back towards the left. Meaning: To signify his love for his current wife Charlotte Riley, he got a massive portrait of Charlotte inked on his back. Tattoo: Raven inked on his left chest. Meaning: Raven tattoo holds great importance in Tom’s life. It is devoted to two major films of his life which had brought him worldwide recognition: ‘Mad Max’ and ‘The Dark Knight Rises’. Tattoo: Angry Wolf tattooed on his inner left forearm. Meaning: Tom Hardy once in an interview said that wolf and raven are two animals that are very significant for him. 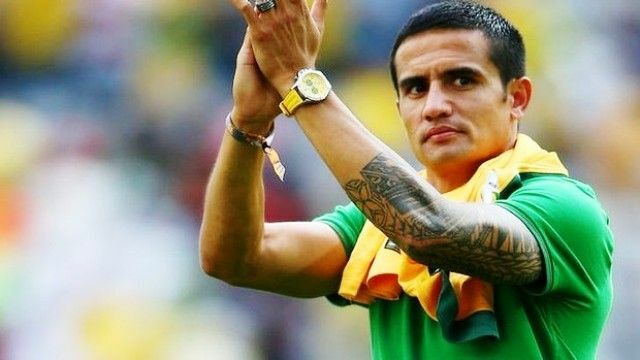 His inner forearm Wolf Tattoo has been inspired by his role in The Revenant. Tattoo: Sacred Heart with a cross inked towards his left underarm. Tattoo: Feather tattoo inked near his left wrist. Tattoo: Tom has a Skull wearing a hat inked on his left arm. Tattoo: A card inked towards the right side of his stomach. Tattoo: Flying Birds inked towards the right side of his neck. Tattoo: L and H inked on his left arm. 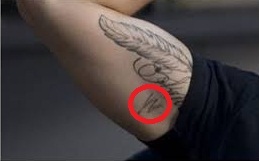 Meaning: L and H tattoo represents the initials of his son’s name, Louis Thomas Hardy. Tattoo: II O&R inked on his right bicep. Meaning: This inscription means “To Observe and Reflect”. Tom Hardy claims this to be his motto of life. 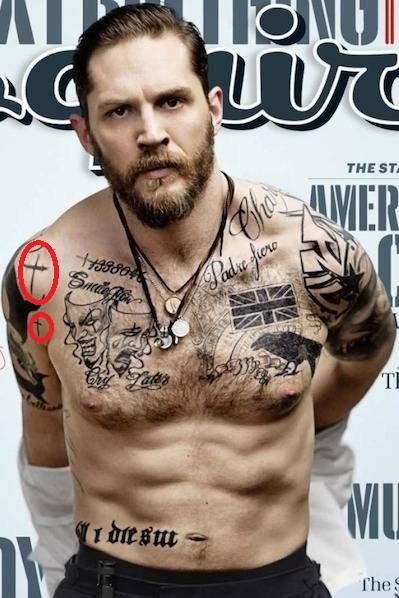 Meaning: Tom Hardy got a large tattoo of pit bull’s muzzle on the left side of his back. Tom got it done in the memory of his dog Max who is no more. Tattoo: Leo Knows All inked on his right bicep. Meaning: Tom Hardy had lost a bet to his co-star Leonardo DiCaprio. They bet on the point that the Mad Max star (Tom) would be nominated for an Oscar for his supporting role in The Revenant. The 40-year-old Hardy was not sure of his nomination, so a bet was made that whoever lost, would have to get a tattoo of the winner’s choice. 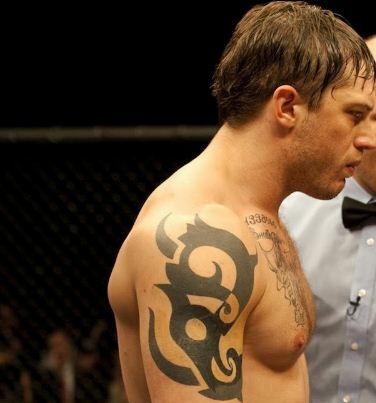 Thus, Tom Hardy had lost to Leonardo when he was nominated for Best Supporting Actor. And as per the condition Tom had to get the tattoo as per the choice of his opponent, which was chosen as “Leo Knows All” by Leonardo. Tattoo: W inked on the inner side of his right bicep. 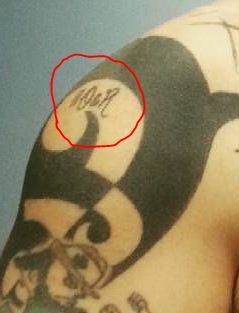 Meaning: W inked represents the initial of the surname of his Ex Girlfriend Sarah Ward (1999-2002).